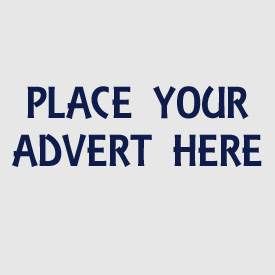 We are pleased to inform you that in addition to our August advert in Craftseller Magazine we have now secured full page adverts in four additional national craft titles in August. 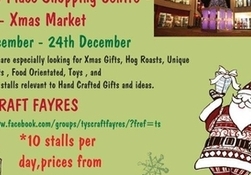 The four magazines..
TYS Craft Fayres are proud to say we have been given the privilege to run a Christmas Market through the month of December 2014 from 1st December- 24th December, 7 days a week for 3 weeks. Stalls are..
We are pleased to say that we have taken out a double page advertisement in the Ultimate Crafter's Guide.Just on the click the link below to view the entire guide and to view our advertisement.http://..
We are delighted to offer a select number of Stall and Craft Collective stallholders an exciting opportunity to advertise themselves in Britain's No. 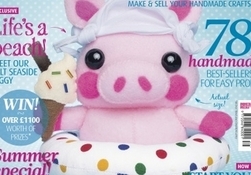 1 Craftseller magazine. 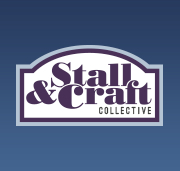 Stall & Craft Collective.. Here''s the link to win one of Ten Diamond Subscriptions via Craftseller magazine. Good luck http://www.craft-seller.com/competition/enter-now-chance-promote-your-shop-stall-and-craft-collective-..